Planning to have broadband internet installed at home for the first time? It’s not always as simple as calling up your local internet service provider (ISP) and getting your home connected. After all, there are many kinds of broadband internet connections available; each one has their own advantages and disadvantages. 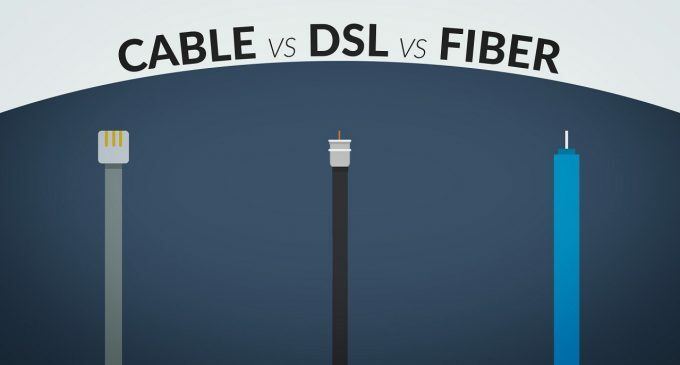 One of the most popular options for broadband around the world is DSL. It’s popular due to how it’s deployed—it uses the same copper telephone lines already used in homes and businesses. Hence, this service is usually bundled with phone plans. DSL speeds usually range from a few hundred kilobits per second (Kbps) to a few million bits (megabits) per second (Mbps). There are also different versions of this technology available. These include Asymetrical DSL (ADSL) that offers better download speed than upload speed, Symmetrical DSL for users who need both fast upload and download speeds, and the fastest versions: High Data Rate DSL (HDSL) and Very High Data Rate DSL (VDSL). If DSL uses existing phone lines, cable uses the coaxial cables that are used for cable TV. This kind of broadband internet can offer speeds of at least 1.5 Mbps and are commonly bundled with cable TV subscriptions. The connection can be also used while watching cable TV. One of the faster options for wired broadband internet service is fiber, a shorthand for the fiber optic cables used in transmitting data. These cables allows transmission speeds of up to hundreds of Mbps—possible only by converting the data-carrying electrical signals into light. That light is then sent through the fiber optic cables, which are actually transparent and made of glass. Since it requires the use of new cables, this kind of broadband internet is just being gradually rolled out to various areas around the world. As the name suggests, BPL delivers the internet through existing low- and medium-voltage power lines. This means that should you subscribe to this service, there will also be no need to install additional wiring, as it will just use the same lines that deliver electricity to your home. While this kind of internet service offers similar speeds as DSL and cable, it’s unfortunately only available in limited areas. In general, wireless broadband internet services use radio waves to send data between the user and the ISP’s facilities. Hence, most wireless applications are for shorter distances. For example, they come in the form of wireless local area networks (WLANs), which typically work with the use of Wi-Fi routers. Wi-Fi connectivity, however, is not necessarily a form of wireless broadband connectivity, as it may simply be extending the reach of either a wired or a wireless broadband connection. There are mobile wireless broadband routers that are designed for users on the go. However, this can only offer speeds of a few hundred Kbps. That said, there are versions of this service designed for long-range data transmission for sparsely populated areas. This variant requires the use of a fixed external antenna and can provide high-speed wireless internet access over extensive geographic regions. As you can see, there are many different kinds of broadband internet connections available to end users. So if you want to get the best internet connection for your neighborhood or community, make sure to do your research first and to consider all possible options.